25MM Round Dyed Blue Abalone/Paua Pendants, suitable for use as cabochons too. Large heart shaped Abalone pendants, dyed blue. These are cut from Abalone or Paua shells, a very popular material. Ideal for rings, earrings, necklaces or pendants – they are flat and can easily be used as cabochons too; but do have a drill hole in near the top. For more information about Abalone / Paua shells, and a full list of our related products, please see our search by stone category. 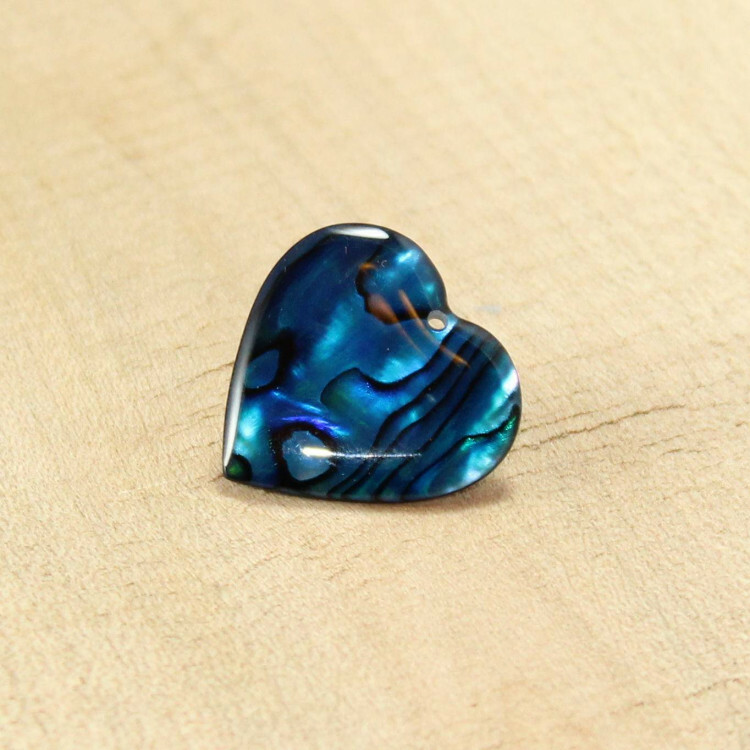 If you’d like to see a full list of all of our Cabochons, please see our ‘Cabochons’ section. Check out our Pendants section, too.